Kathmandu, July 10, 2014 – Elephant Watch Nepal welcomes a new initiative to unchain working elephants in and around Chitwan National Park. After unchaining 31 government elephants, Carol Buckley from Elephant Aid International designed a corral for elephants owned by Sapana Village Resort. 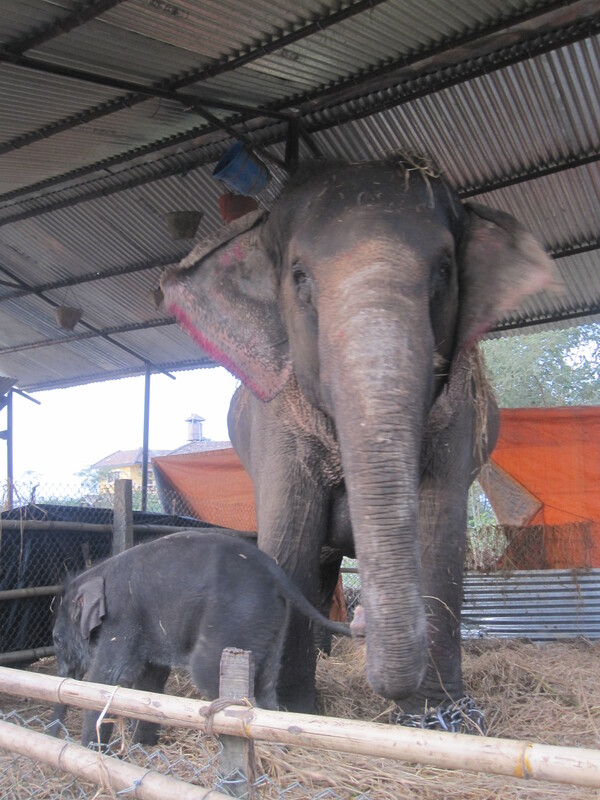 When mahout Mukti Chaudary unchained Srijana Kali on June 13, 2014, the tall mother elephant became the first private elephant in Nepal to be set free. She was followed closely by her son Samrat Gaj when she left the small shed in which she was housed and explored the new enclosure. Mum and son were delighted to be walking around freely, to eat the greens and to sleep together on the grass, in between two tall trees. The unchaining of working elephants is an important step in improving the conditions of these majestic animals. 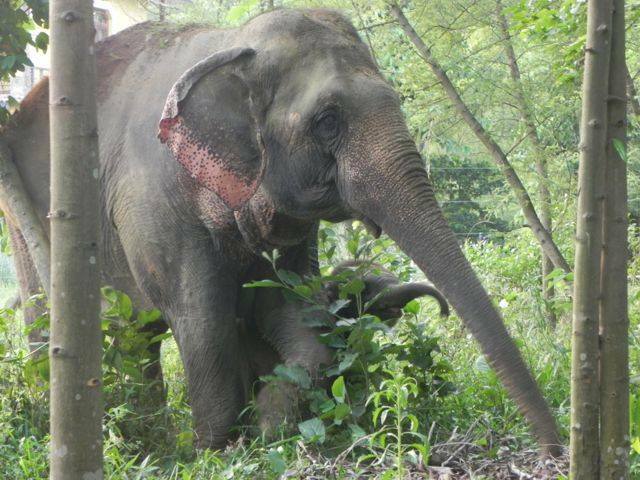 Kudos to Sapana Village Resort, Carol Buckley, Himalayan Animal Trust and Animal Nepal for creating the first chain free for a private safari elephant!